The Cimorelli Sisters are a sibling band of 6 sisters aged 11-21 from Sacramento California. The group started in 2007 and has been adding sisters to the group as they have become old enough. The performers, Christina (21), Katherine (19), Lisa (17), Amy (16), Lauren (13), and Dani (11) each write their own songs, and perform covers of some of the top hits of the day. 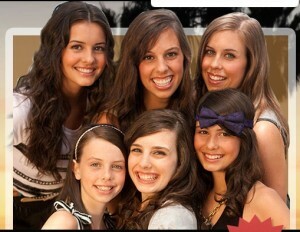 In 2007, the oldest five girls launched Cimorelli as a vocal group. “We’d been singing together since we were young, so it felt natural to make it official,” says Katherine, who along with Christina and Lisa studied music theory in college. 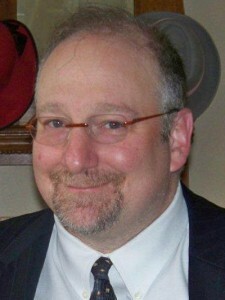 Dani, the youngest, just joined the group in the summer of 2011. Their mom, Lynne, was a college music major and choir director, who taught them all music at an early age. The group comes from an even larger family– they have 5 brothers also! Cimorelli’s YouTube Channel, where fans can watch clips of the group performing songs by Katy Perry, Taio Cruz, and Bruno Mars, has racked up more than 50 million upload views since it was created in 2009 and currently has over 250,000 subscribers. i guys you are soooooooo cool especially dani and lisa !!!!!!!!!!!!!!!!!!!!!!! I totally wish i am in CIMORELLI Group!!!!!!! !